Syd is two and a half today. A quarter of a decade. It seems like he has been here far longer, yet at the same time I cannot believe my baby has grown so big. He talks ten to the dozen. Questions flying out at a rate of knots. ‘What’s happening here?’ ‘What’s his name?’ and simple utterances of ‘What? Why..’ at all moments. The attitude has started. ‘Mummy says No!’ ‘Syd says yes’ or rather ‘Dyd says yes’, as his S’s are still hit and miss. Sometimes the only way to get something done is to pretend you want a different outcome. ‘I will eat your dinner’ seems to trick him into thinking he has won if he eats it himself. Tantrums are few, but spectacular when they appear, normally in the supermarket, which leads me to all manner of random purchases as my brain refuses to follow simple tasks when coping with the added interference of toddler squawking. He takes delight in naming everything he knows, numbers, letters, shapes – surprising those around him with his knowledge. He can navigate his way to the app store on my iPad and demand new games. Fortunately he has not sussed out my password….yet…. He likes to kiss people on the knee. He likes to run in staggering circles until he falls over, and bounce on things that are not trampolines. He loves hide and seek, but leaps out shouting ‘Here I am!’ as soon as you have finished counting, the anticipation of being found just too great to hold in. He is a jigsaw master, delighting in the completion, only to say ‘Lets do it again Mummy’ a millisecond later. His singing would melt the hardest of hearts. He loves a ‘huggle’, and one more story. He asks us to read books in the dark, so we invent tales to make up for what we cannot see. It is a total joy to watch him grow. Next Post Seventeen and a Half. Happy Quarter of a Decade Syd! My daughter is the same age (almost) and I think this stage in their lives has to be one of my favourites. Its a voyage of discovery for us both. no 17 and a half post for me?! how rude?! Betsy was 17 and a half this week. In 6 months she will be an adult, and I couldn’t be prouder of the beautiful young woman she has become…..I would post more, but she doth protest too much, and would moan if I did!! Happy half birthday Syd, he sounds just like Ez Bear who is also a lover of the word ‘no’ and spinning around until dizzy! I remember my Daughter and also my Granddaughters when they were 2… so full of life and so many questions that they are trying to understand. What great memories to look back on – time goes far too quickly doesn’t it! 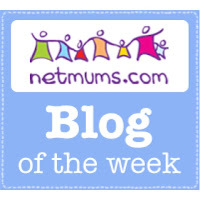 Mummy of Two recently posted…Parents Evening – The Good and the Bad! What a beautiful post and what a gorgeous boy! He sounds an absolute delight! I can’t believe he’s 2 and a half already – I think that shows how long I’ve been on Twitter! This is a great age. Awww this is such a fantastic age I really do love it. Isn’t it gorgeous to see their little personalities emerging? Gwen’s just a few months behind Syd (she’s 2 in March), and she’s already such a little monkey…. It is such a great age. Everything is such a joy and adventure at that age. Charlotte recently posted…Dear Joshua: You are three! how beautiful. my eldest calles hugs “juggles” too. it is like a combination between his and snuggle. how precious are these years – lovely. This age is lovely, you get so much out of them at 2 1/2, and still so sweet just before they hit threenager-dom. Happy half year birthday! Happy half birthday! My son, D, is nearly four now but I remember what he was like at that age – lots of fun but always just on the cusp of frustration because of the language not quite matching up with the brain. So much fun to come!